I am so excited to share this Facebook Live and THESE POWERFUL PEARLS of functional medicine with you. At SAFM we honor that scientific knowledge is always evolving. That’s why we are always revising our content in light of new research findings. Supplements are a provocative topic! Some practitioners shun them as toxic. Others believe copious, high-doses are necessary. As usual, the truth is somewhere in the middle. But confusion abounds! And this is a particularly myth-riddled topic with way too much information coming from unsubstantiated claims in blogs. Catch the latest video here. Targeted nutrient or therapeutic supplementation can indeed be a powerful tool. But there are some common mistakes that we see practitioners make over and over again. Sometimes they can prevent client progress. Other times they might actually be causing harm. 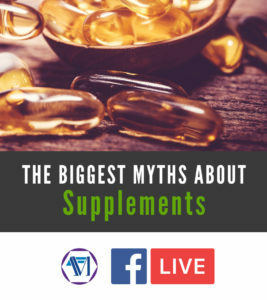 In this video, you will learn about COMMON (and not so common) truths about Supplementation and some good old-fashioned myth busting! Are you confident in this arena? Although you may already be a savvy practitioner, I am certain you will learn something new that you can apply right away in your practice. Thank you very much for joining in the fun and learning! If you haven’t done so already, sign up to receive weekly clinical tips like this via email, and you’ll also get automatic access to a free mini clinical course. Like us on Facebook to get more great clinical tips and to get notifications on my next Facebook Live! I was glad to hear the way you referred to prescription drugs as triage. I had never heard them referred to in that way, that explanation I think will be very helpful when speaking with clients. Everything you said was very informative, I’m thankful for the invitation and jumping on to listen. Thank you so much for another very informative life webinar. I cannot get enough of them. As always so much great information about supplements and natural food, how Vitamin D and Magnesium are interconnected and to much of Vitamin D can cause depletion of Magnesium, such helpful information about iron intake, how different supplements compete to get absorbed. Thank you very, very much for sharing your knowledge. I enjoy the layers that keep getting added in..just when I think I have something down, I learn something new! Today, I liked learning about the connection between vitamin D and Magnesium. 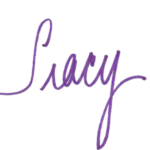 Thank you, Tracy! Hi, your webinar was so informative, many things stuck out to me, the iron supplement as a daily/alternate daily dose. Zinc and B12 for Vegans I just found you recently and purchased a deep dive course to steer me in the best direction to help people I see daily through my work. If all supplements are not created equal, does This mean that everyone needs labwork first to direct them to their specific mineral/Vitamin requirement, the “ one a day multivitamin “ simply does not work? I loved the whole talk. Thank you Tracy! So many pearls. I think that there are so many things at play with the person’s health and wellness, medical diagnoses, medications, stress and much more. The interactions of medications and potential nutritional deficiencies is something not to be ignored. I also loved the section on genetics. It has been a hobby and now passion looking at genetics/genealogy and health. I was adopted and have learned so much over the past few years just finding out who I am and where I came from and why I have had the things I have had. (medically). Practitioner clarification questions are welcome! Please do not post personal case inquiries.